BANGIN! 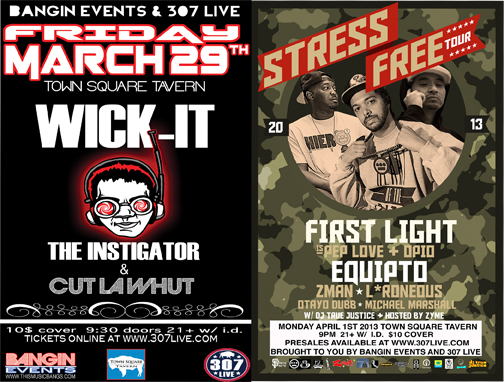 is teamin up with 307 Live for a couple great show to end out the winter season in JH WYO. We have the HEAVIEST sound system coming in for this show. Nothing like the Tavern has seen yet. Bass for days. Crystal clear hi’s. 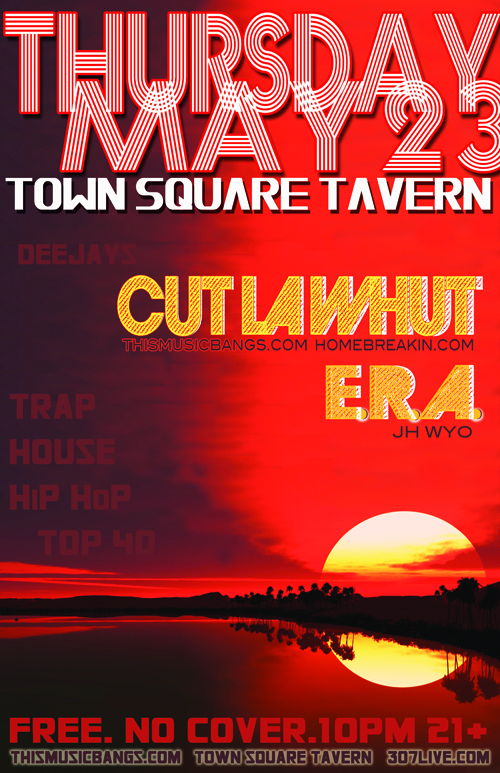 its goin down at the TOWN SQUARE TAVERN!! heres some links to video’s and free downloads! lets get rowdy! this is a full length mix ALL WICK-IT REMIX’s!!! 2010-2013 tracks. epic mix right here. 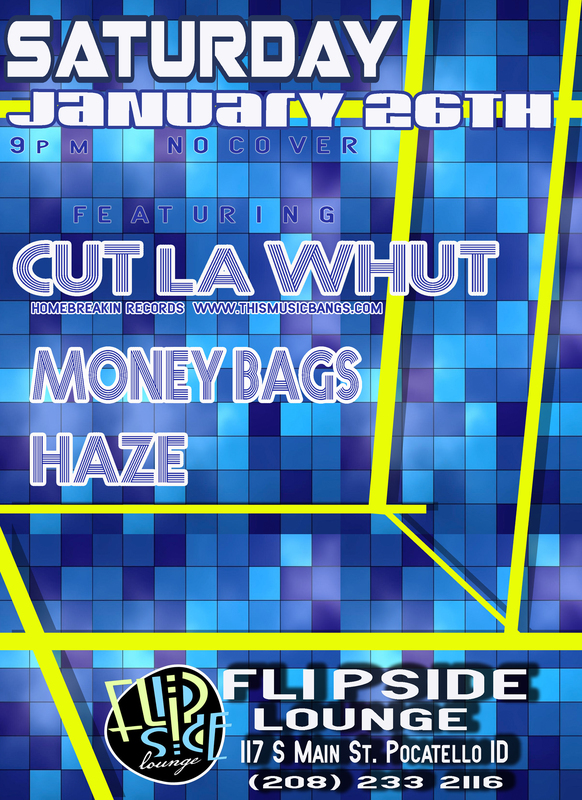 Cut la Whut will be on deck for support for this as well, this is gonna be one of his last shows in Jackson til later in the summer. come out and support this guy for workin hard and bring you amazing dj’s from around the globe to rock your little mountain town!! He asked us to extend a Big Big thank you for all the support over the years. He’s gonna miss this place!! Got a few things coming up that you dont want to miss!! Then Bangin! is designing the stage and blowin it up with a video mapping installation for the VibeSquad-Mikey Thunder show at the Pink Garter Theatre in JH WY on Dec 22nd. Bangin! is also doing the stage for Elliott Lipp-Pool Party-Craft show on Dec. 28th at the Pink Garter as well. After that we are sending Cut la Whut down to Tahoe for the Black and White Superball put on by Fresh Bakin/Bounce Festival team and this is gonna be bonkers!! 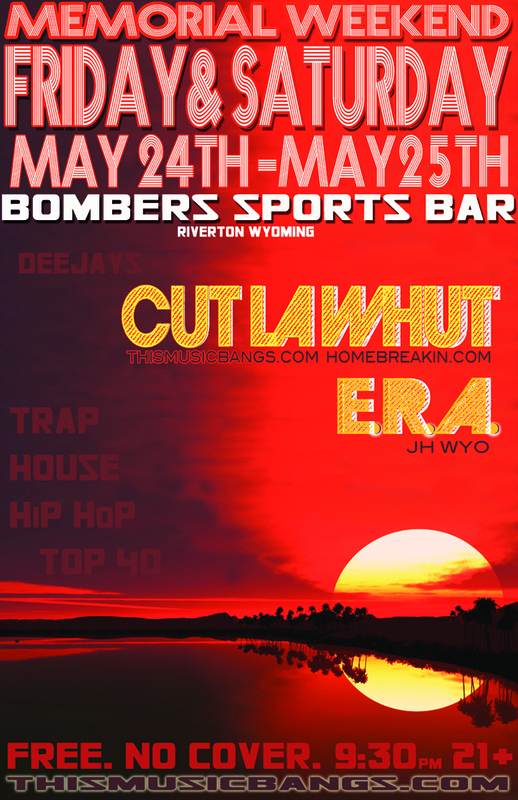 Its up at the Cal_Neva in North Lake so get on it and lets have a blast this month!! peace! Proper Motion’s latest! check them out Nov. 28th at the Mangy Moose in Teton Village WY!! JH LATENIGHT is having a fundraiser to buy a sweet bus for their transportation service!! March 9th at the Pink Garter Theatre. 9:30 $12 donation at the door, all proceeds benefit JH Latenight! 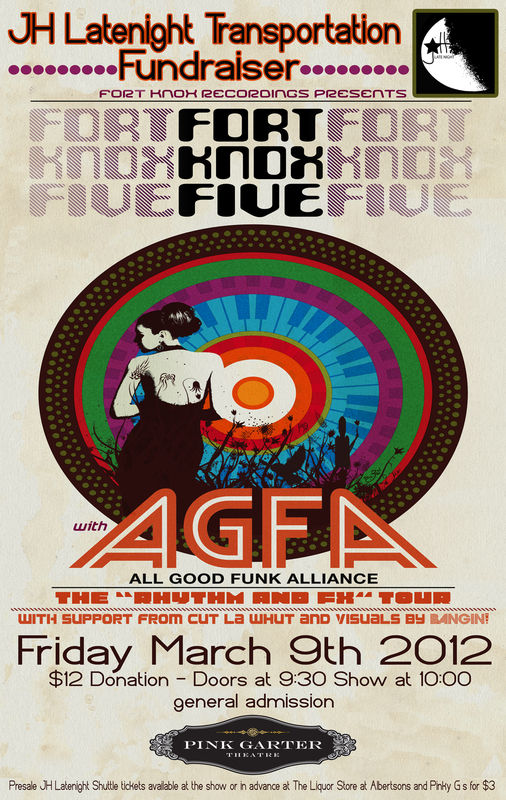 Get out that funk’d up outfit and bring the steez!! Looking to have a great FUNdraiser for these guys! !